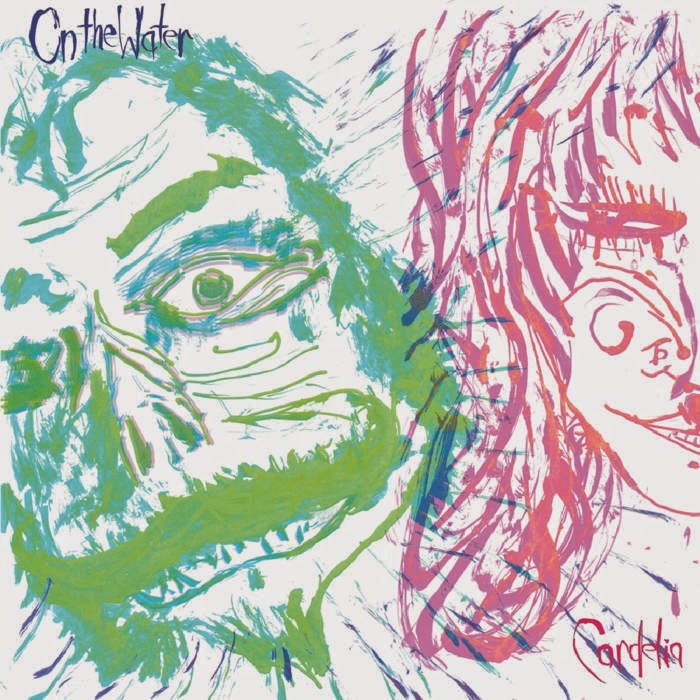 On the Water, a dark folk project from Philadelphia, will soon release their fifth album, Cordelia. Fletcher Van Vliet, songwriter and founding member, describes the album as a dark love poem about self-discovery, realizing the things you love, close friends and adventure, limitations and failures, and bouts with depression. Some of the songs are directly about the loss of his father, who unexpectedly passed away in 2012 of cancer. Vinyl and digital releases of Cordelia will be available on May 9, 2015, and can now be pre-ordered from Bandcamp. On the Water has been said to produce "earnest and inspired work" (The Aquarian) and songs that "have that beautiful dichotomy and balance of shadow and light, sorrow and joy" (The Deli). Cordelia still holds true to those statements, featuring songs that speak of love, death, dreams, and human frailty. On the Water also collaborated with Jesse Sparhawk, the renowned harpist who has worked with Marissa Nadler, Greg Weeks, and many other notable folk singers. On the Water's members have always been influx, ranging from one to nine members. The project began in 2007 as an outlet for the raw, honest folks songs that Van Vliet had been writing. The band had a wild, high-spirited air about them, fueled mostly by whiskey. When they performed live, the group would set aside microphones and set lists to better complement their desire for spontaneity. As an eight and nine-piece band, On the Water released two albums: Anchor (2011) and False Starts (2013). In 2014, the group dwindled to four core members (Fletcher Van Vliet, Robin Carine, Taylor Jamison, and Lucas Carine), ending an era as Philadelphia's dark folk orchestra, but jump-starting a prolific collaboration. The result was two new albums: Baptism (an EP released on December 31, 2014) and the upcoming full-length,Cordelia, both recorded over the course of only two days. Cordelia also features three guest musicians, including Evan McGonagle on cello, the aforementioned Jesse Sparhawk on harp, and Aubrey Van Vliet on vocals. Fletcher Van Vliet's songwriting catalog is vast and diverse, including intimate folk songs written for On the Water, his work with little-known side project, Ulthar (an experimental doom metal band) and songs written for his former theatrical post-punk band, Da Comrade (who shared stages with folks like Monotix). Van Vliet's incredible body of work is a true testament to the depth, expansive creativity, and diversity that he continues to bring to modern independent music. Van Vliet now lives in west Philadelphia with his wife and cats, working as a bartender, although he's often away on tour. Stay tuned to On the Water's upcoming three-month tour throughout the United States, May through July of 2015, by following them on Twitter and Facebook. Preview songs from Cordelia and pre-order the album on Bandcamp, before the official release on May 9, 2015.